The first release of Casper FFG (Friendly Finality Gadget) consensus mechanism is out on Tuesday, published on a software development platform GitHub by its developer, Danny Ryan. Casper’s purpose is to change the way the Ethereum network reaches consensus by eventually replacing the Proof of Work (PoW) system with Proof of Stake (PoS). Once implemented, Casper FFG will alter Ethereum’s software so that it includes a combination of PoW and PoS, although in the initial stages, PoW will still do most of the work, whereas PoS will be used to periodically validate “checkpoints.” As the network can only handle a finite number of validating nodes, the minimum deposit will start off at 1,500 ETH, or USD 1.1 million at the current exchange rate. The Casper upgrade would eventually make all ether hardware mining obsolete. Proof of Work is a process where miners solve cryptographic puzzles to “mine” a block that will be added to the blockchain. This process requires an immense amount of energy and computational usage. The puzzles have been designed in a way which makes it hard and taxing on the system. But this means that miners who can afford faster and more powerful application-specific integrated circuit (ASIC) chips usually have a better chance of mining than the others, which means that theoretically, big mining pools could team up and launch a 51% attack on the network. Proof of Stake employs validators to update the ledger through a voting system within which users, sometimes called stakers, put down deposits of ETH and start validating blocks. When they discover a block which they think can be added to the chain, they will validate it by placing a “bet” on it, and if it gets appended, the validators get a reward proportionate to their bets. Should the validator try to cheat, however, Casper’s version of PoS makes sure that all of their stake is going to get slashed. Casper is still in the earliest stages and it has to be audited, and the network cannot implement it until more code has been written for Ethereum clients. As Casper won’t be compatible with earlier versions of Ethereum, the network will have to hard fork. 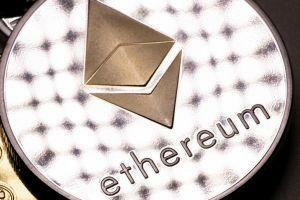 While Ethereum founder Vitalik Buterin is optimistic about switching the Ethereum network from proof-of-work to proof-of-stake, a report by bitcoin derivatives exchange BitMex suggests that the likelihood of this switch happening is rather small.